Follow along with our up to the second updates from the D23 Disney Animation panel! The fifth bi-annual D23 Expo is upon us and the event’s first major big screen panel is about to begin! Pixar and Walt Disney Animation Studios: The Upcoming Films is taking the stage at the event with John Lasseter himself hosting! 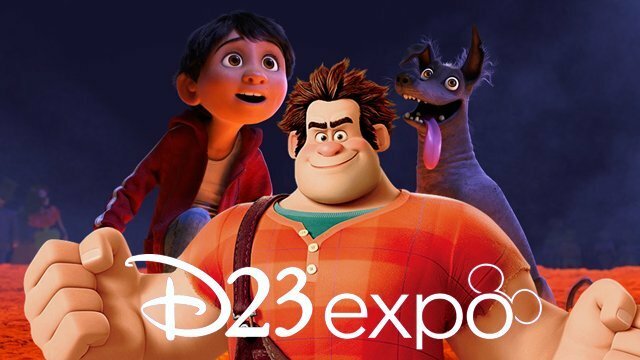 If past D23 Expos are any indication, we’re about to be treated to a lot of Disney surprises in addition to announced looks at Disney•Pixar‘s upcoming Coco and Ralph Breaks the Internet: Wreck-It Ralph 2. ComingSoon.net is on the scene and you can follow along with our live updates below! RELATED: Stay Up to Date with Our D23 Expo 2017 Hub! Directed by Lee Unkrich (Toy Story 3) and co-directed by Adrian Molina (story artist Monsters University), Coco follows young Miguel (voice of newcomer Anthony Gonzalez) who, despite his family’s baffling generations-old ban on music, dreams of becoming an accomplished musician like his idol, Ernesto de la Cruz (voice of Benjamin Bratt). Desperate to prove his talent, Miguel finds himself in the stunning and colorful Land of the Dead following a mysterious chain of events. Along the way, he meets charming trickster Hector (voice of Gael García Bernal), and together, they set off on an extraordinary journey to unlock the real story behind Miguel’s family history. Coco will be released on November 22, 2017. Ralph Breaks the Internet: Wreck-It Ralph 2 will then follow on March 9, 2018 with directors Rich Moore (Zootopia, Wreck-It Ralph, The Simpsons) and Phil Johnston (writer, Wreck-It Ralph, Zootopia, Cedar Rapids) taking Ralph out of his arcade and into the expansive universe of the internet. Produced by Clark Spencer (Zootopia, Wreck-It Ralph, Bolt), Wreck-It Ralph 2 will feature the return of stars John C. Reilly, Sarah Silverman, Jane Lynch and Jack McBrayer. What are you most excited to hear about from the D23 Disney Animation panel? Let us know your thoughts in the comments below!